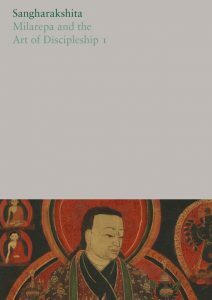 We are looking forward to the release of four new volumes of the The Complete Works of Sangharakshita in early April. This coincides with celebrations around the 50th anniversary of the founding of the Triratna Order by Sangharakshita. 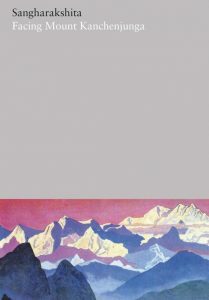 Launched in Oct, 2016 with Dr. Ambedkar and the Revival of Buddhism I, there are already four volumes published which include: The Three Jewels II, Mahayana Myths and Stories and The Rainbow Road from Tooting Broadway to Kalimpong. The Complete Works: What’s Coming in April? 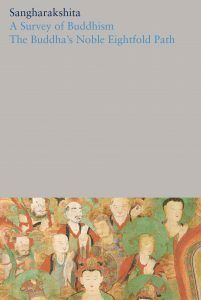 A Survey of Buddhism/The Buddha’s Noble Eightfold Path (Volume 1) Designed to be the very first volume in the set, this volume brings the influential A Survey of Buddhism back in print. It includes the book The Buddha’s Noble Eightfold Path, and a newly written Foreword by Subhuti. 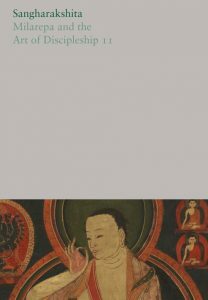 Milarepa and the Art of Discipleship I and II (Volumes 18 and 19) These two volumes contain quite a lot of previously unpublished commentary by Sangharakshita on Milarepa’s songs, including ‘The Shepherd’s Search for Mind’ and stories tracing the relationship between Milarepa and his disciple Rechungpa. Vidyadevi has written insightful Forewords and the book The Yogi’s Joy is republished in volume 18. Volumes will be available for purchase individually or as a complete set. For all volumes published, consider taking out a subscription to The Complete Works in eBook, paperback and/or hardback formats. Each subscription helps support the project. Thanks to our existing subscribers, who will receive the next four volumes upon publication.